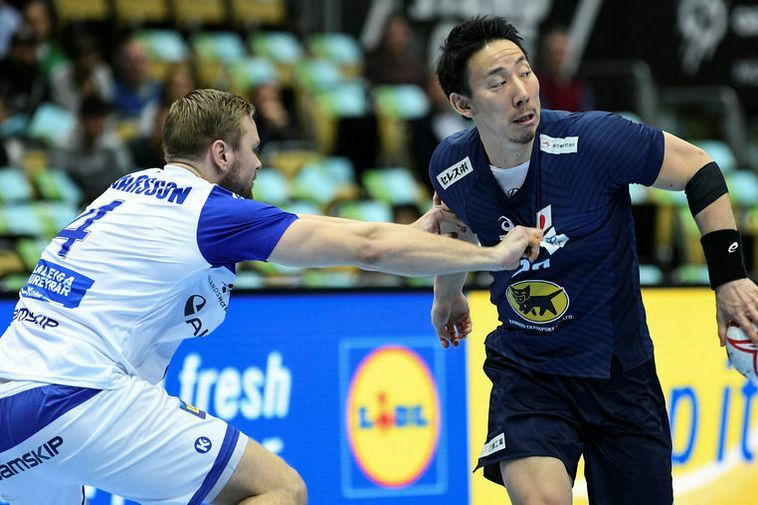 Iceland is currently playing against Japan in the second last round of group B in the men's handball world cup in Munich in Germany. Iceland has 2 points after beating Barein but lost their matches against Croatia and Spain. Japan has no points after playing Macedonia, Croatia and Spain. The current score is 12 goals for Japan and 11 for Iceland.